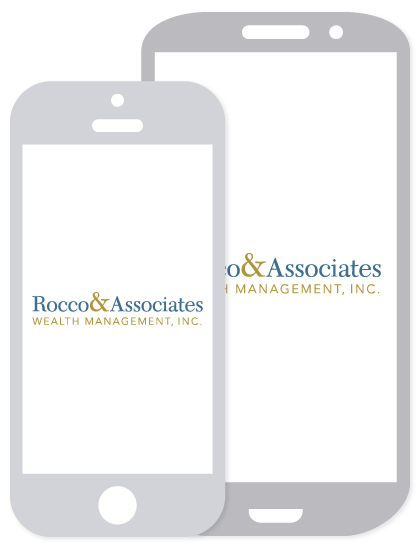 Around The Office - February 2018 | Rocco & Associates Wealth Management, Inc.
Rocco & Associates Wealth Management is a multi-generational business, and we are fortunate to have families who have been our clients for several generations. 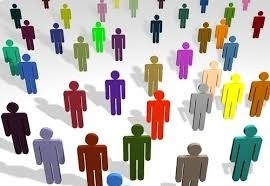 In fact, we are proud to say that many of our youngest clients are the grandchildren of the firm’s original clients. Why are we proud of this fact? Because it shows that we have been able to successfully transfer wealth across three generations; from the baby boomers to generation x and now to the millennials. With careful planning your wealth doesn’t just have to pass on to the next generation, but instead can help you shape a legacy and open doors for your children, grandchildren or even a charitable endeavor that you are passionate about? This February, we want to take time to highlight the importance of wealth transfer planning, and are making it easier than ever for our clients to review their plan. All of our articles, blog posts, and events will be centered on helping our clients work towards leaving a legacy that will span generations (just like R&A!). Stop by Colony Grill in downtown Fairfield on February 28th for our first Grab ‘N Go event of the year. 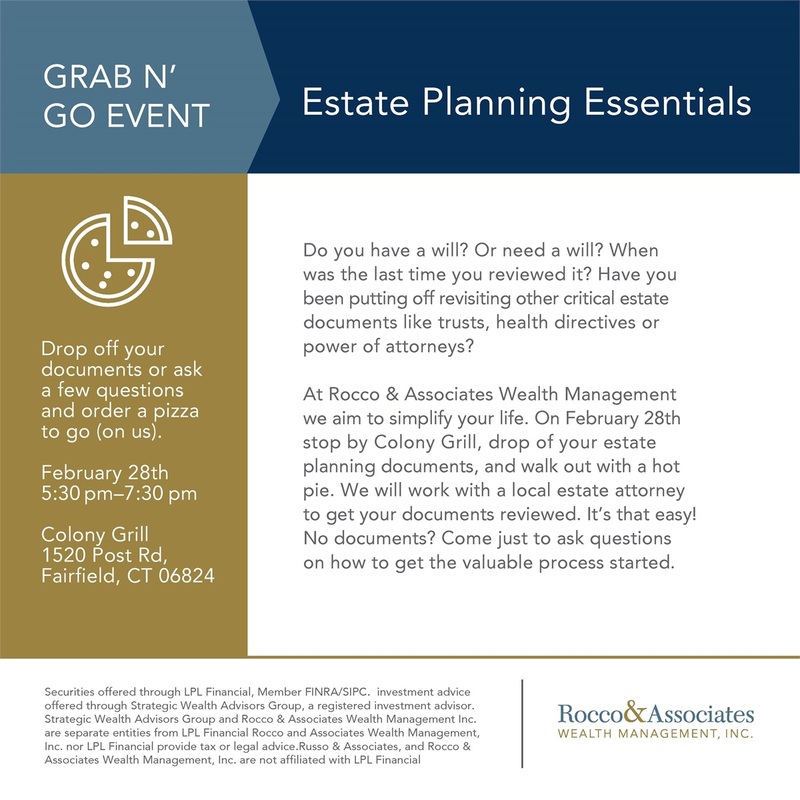 Come by, drop off your estate planning documents, and grab a pizza to go (on us!). We have partnered with a local law practice, Russo & Rizio, LLC, to review your estate planning documents. After we review, we will reach back out with any suggestions that we may have. We will be at Colony from 5:30pm to 7:30pm so feel free to stop by and drop of your documents or come with questions if you are just looking for a place to start your estate plan. Our Spring Interns Have Arrived! Please join us in welcoming Adam Ostaszewski and Katie Santo as our spring interns! Adam is currently a junior at Fairfield University pursuing a Finance degree with a minor in Economics. Adam is originally from Norwalk, Connecticut but annually travels to Poland to visit family, relatives and friends. He is the acting Captain of the Alpine team at Fairfield University and is a member of the Finance and Economic clubs on campus. When he’s not hitting the books you can find Adam traveling and skiing the mountains of the Northeast while working as a Ski The East Ambassador. Adam becomes part of the team for the 2018 spring semester and is thrilled to delve deeper into the wealth management field. Katie is currently a junior at Fairfield University pursuing a double major in Management and Information Systems, with a minor in Business Analytics. Katie is originally from Beverly, Massachusetts and attended Beverly High School. At school, Katie dedicates much of her time to the student organization, FUSA, where she sits as the Class of 2019 President as well as Speaker of the Senate. Katie is joining the team for the 2018 spring semester and is interested in expanding her knowledge of wealth management.